In a sign of the times my blogging appears to be have been transmuted into Facebooking - so for the latest news on what is happening for Dax Bead Art please pop by our Facebook book page - Dax Bead Art. We'll let you know when blogging recommences. 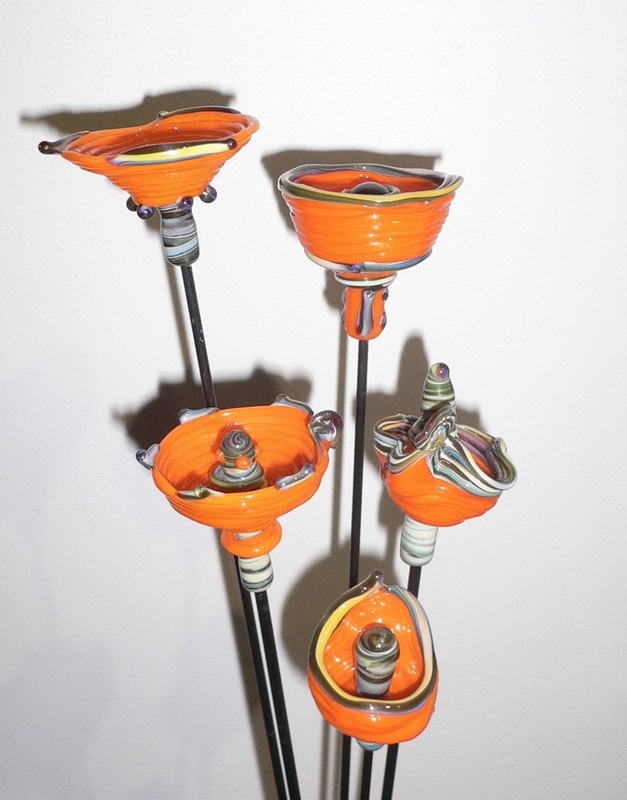 Here are some of the latest blooms from the hot glass area of the studio. New beading challenge competition - can you bead a purple pom pom? 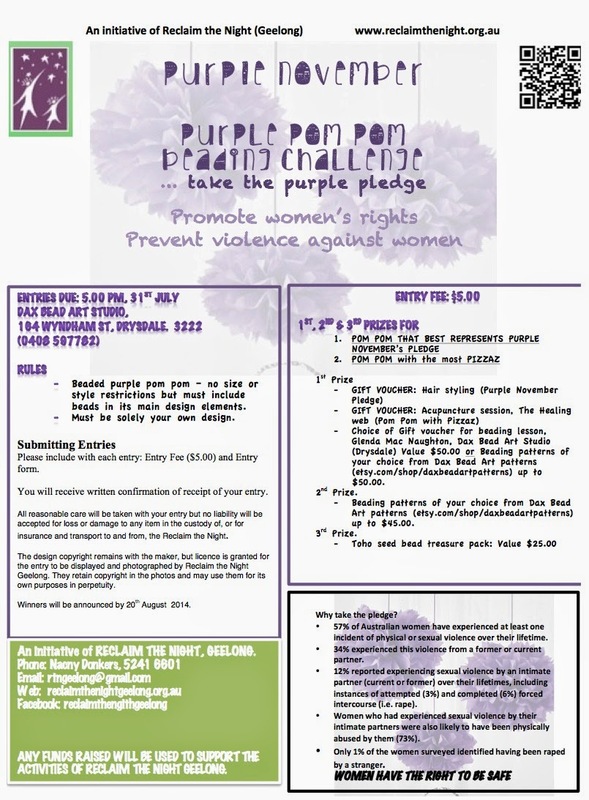 New beading challenge competition - some great prizes - and all for a good cause - preventing violence against women and promoting women's rights. Are you up to beading a purple pom pom? 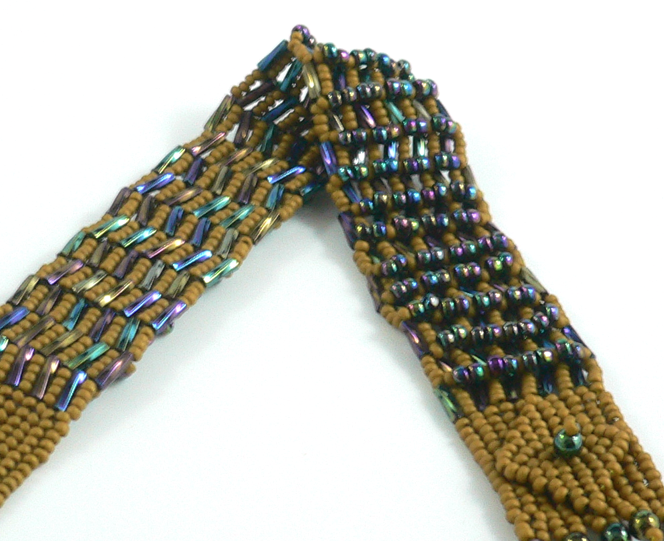 There is something that often draws me often to the geometric in my beadwork. I have played with the possibilities of triangles, diamonds, polygons, hedrons and more. 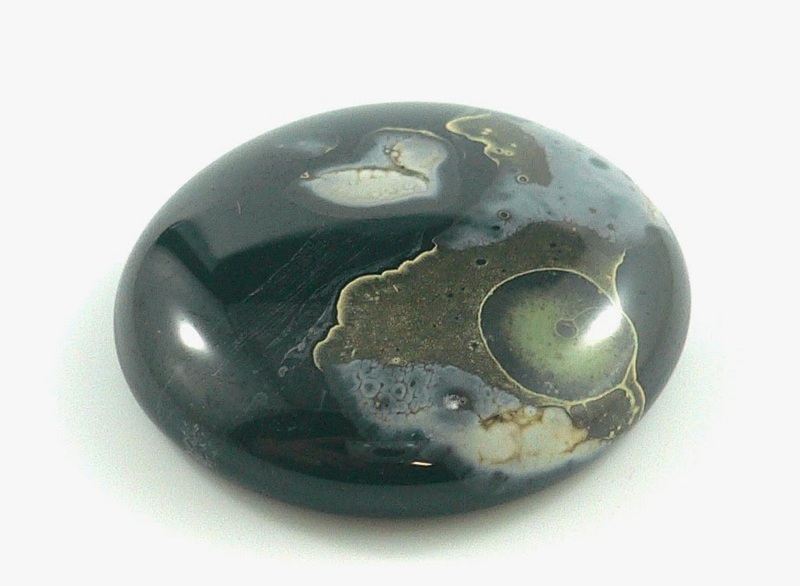 So, it is with some surprise that I am finding such pleasure in creating non-geometric cabochons at present. As you can see, they have irregular contours and not a straight edge in sight. 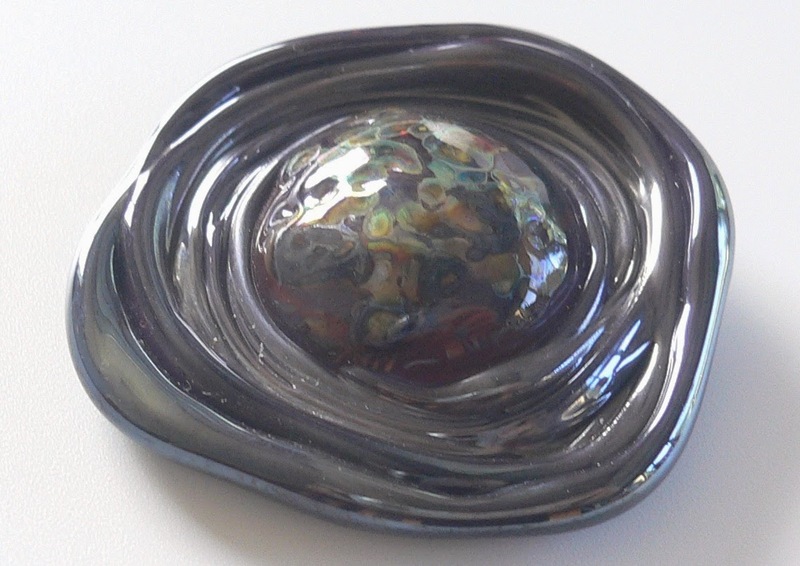 My organic ‘Galactica’ cabs bring to my mind things beyond this galaxy but also bring me greater degrees of freedom in playing with glass at the torch. I can relax into ‘going with the flow’ more and ask ‘what if?’. My play with non-geometry has also taken me exploring how other designers play with contour and the irregular. Then, imagine these architectural forms in jewellery. Not quite skilled enough at the torch to produce them as cabs… yet! And, if you want to read about it try piece by Gantz this written in 1977 but with great challenges to us in our designs today asking many questions. One I loved, ‘How can we prefer square, flat walled rooms to the beautiful shapes of caves or the arch of the sky?’ (p. 11). It would also follow that there are no straight lines, planes, or perfect geometric figures. The concrete element does not allow the equal repetitions necessary for the production of these forms. These inequalities are not imperfections to be ironed out. They are not errors or accidents, rather they are substance (p. 12). Do your retreat from the irregular? Or, are you inspired by it? Does randomness make the spirit hum or sink? Are you ready to play with organic? What would you do with one of my cabs? 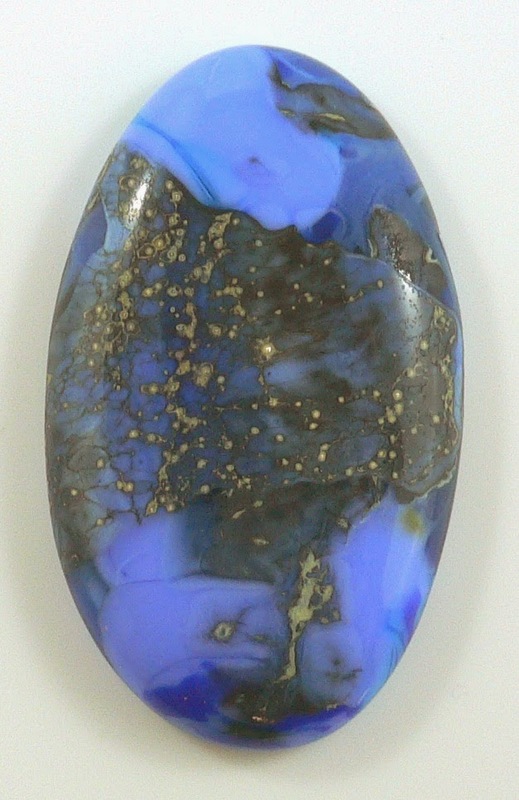 Cabochons, heads, domes and nails – what takes your beading fancy? 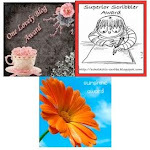 It’s been a while but I have the blogging muse again and some determination to make some time for it. As some of you may know I’ve begun making my own lampwork glass cabochons fuelled by my recent enjoyment in returning to bead embroidery. 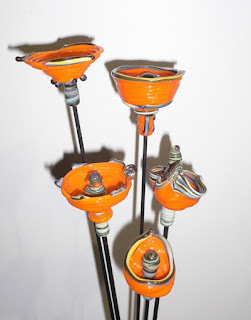 Are you getting time to do some glasswork now the Festival of Glass is over? 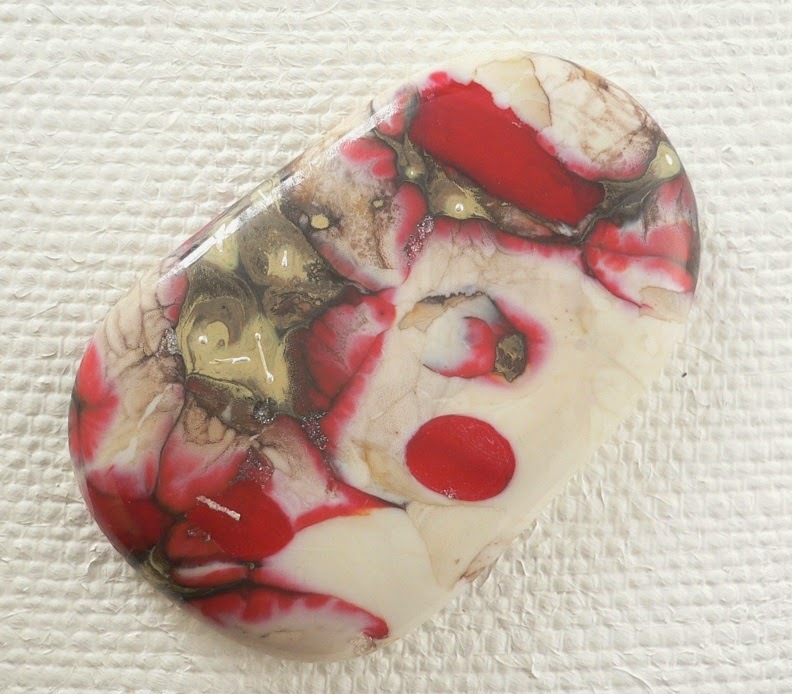 Yes, it’s terrific and I’ve started playing with making my own cabochons? Oh (accompanied by a puzzled expression) – are they a special type of bead? No, they don’t have holes. So, how do you string them? It made me ponder where and how the word emerged and whether there are better ways to describe what I’m doing to those not familiar with it. I did know that the word derived from French but that was the end of my knowledge. Google helped a little. I now know it derives from the Middle French word ‘caboche’ which could variously means nail (with a head), head, knob or small dome depending on which dictionary I consulted. Explaining I am making nail heads I think might lead to even more puzzling conversations but perhaps talking about domes of glass could work… though strictly speaking not all of my cabochon creations are domed. So,… more pondering to do? What do you think? Do you have your own language for the flat-back ‘things’ in the beadwork you create, buy or wear. 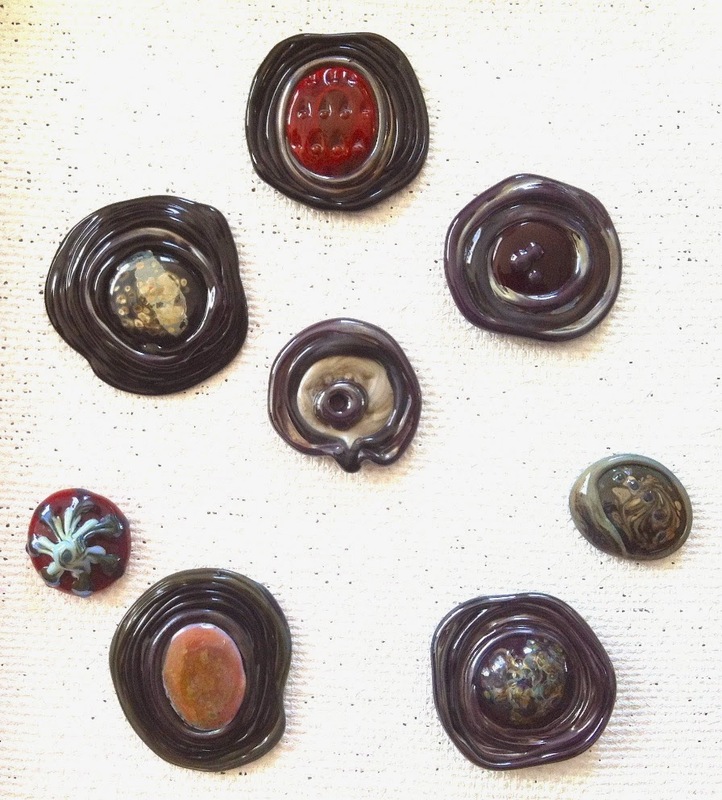 Galactica cabochons, Glenda Mac Naughton - domes????? Ironically, I had just taken a photo of my latest creation that had findings in abundance. Then I wondered – was I right? So, off to Google Search. Some dictionaries define findings as the small tools and materials used by artisans – not just jewellers. Others link them specifically to jewellers by defining them as small parts used to join jewellery components together. Either way, it struck me what a strange word it was to apply to a group of objects or to small tools and materials. I wondered - why are findings called findings? Answering this ‘why?’ question was certainly trickier than answering the ‘what’ question. Deep amongst various definitions of findings possibilities emerged. In legalese a synonym for ‘finding’ is a holding – could it be that they all ‘hold’ things together. Finding in Olde English means to come upon, alight on and there is some surmising that this come from a German would that means to go, pass, path, bridge. Were they seen as bridges between components. The etymology is uncertain but it might relate to the old use of the word "findan" to indicate things obtained through research and study; in some cultures artisans would be given their first set of professional tools as a recognition that they had learned their trade. So, what do you think? What do you know? Can you help me grow my findings about findings? 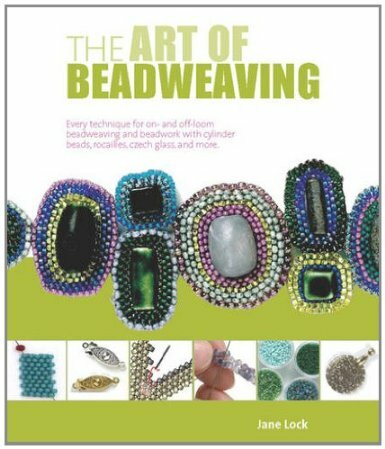 It's been a busy time lately organising my studio, teaching beading classes and this week proofing pages for my first publication in a beadwork book. (Photos of the studio coming next). I'm thrilled to be one of the guest designers in Jane Lock's fab new book The Beader’s Handbook (UK)/The Art of Beadweaving (US) due out in August/September 2013. My project Rosetta bracelet project will be included alongwith projects from Jane, Kerry Slade, Nancy Dale, Carol Dean Sharpe, Heather Collin. The graphic designer has done a fab job at making the diagrams really clear. Copies can be pre-ordered http://www.amazon.co.uk/Beaders-Handbook-Jane-Lock/dp/1844489647/ref=sr_1_1?s=books&ie=UTF8&qid=1368549955&sr=1-1"
There must be something about this time of year - its just over 12 months ago I posted my tips for reducing a beader's UFOs (Unfinished objects) WIPs (Work in Progress) or PHDs (Pieces Half Done) because they seemed to be multiplying apace. Well, its happened again and so its time for some concentrated time to reduce them. Here's my tips from last year's post and some reflections on what's working for me this year and what's not. Carry your UFOs in a special ‘tote’ whenever you go out to places you might need to wait – for doctors, friends, etc. and take the opportunity to spend 5 minutes on completing your project. Well, its just too hot for this one to work right now. Five minutes in the car and the beads will be melting and the Fireline fusing... perhaps, this is tip best left to winter. Promise yourself 5 mins a day on a project until its finished. Okay, this is a good idea but with the size of my UFO pile it could take until next century! Keep UFOs in their own separate container with all the beads, thread, etc needed to complete it. You can then more readily work on it when the desire takes you. Yep, I've done this but I've found myself rifling through them and stealing beads for new projects! Just a little counterproductive me thinks. Take a good hard look at your UFOs be honest about those you will never finish. Put these in a ‘won’t ever do’ box and donate them to the local charity shop. This is today's job - my plan is to undo any that I think I really won't ever finish cos I really don't like them. 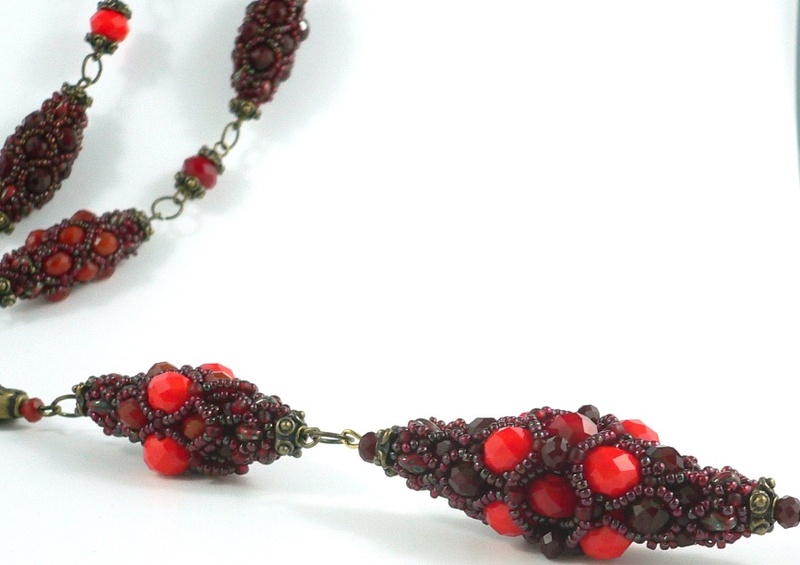 The upside to the unbeading them is that the beads get a second life. Swap them with a beading buddy. Haven't tried this one yet - has anyone else? Try learning a new technique for making findings or finishing a piece – this might just inspire you to use on an UFO. Hoorah - this one worked - I turned a 'just begun' herringbone bracelet into a basket weave herringbone bracelet that used some bugles that have been longing to be used - see what you think? Have a UFO ‘bead in’ with some beading buddies or your local beading group. Not quite there with this but I did take my UFO to my wonderful Crafty Women's group last week and lo and behold I finished that night. I'm delighted with the result. Sort the UFOs into those that are waiting on some more beads and those that are not. Order the beads today!!!! Turn the UFO into a something dramatic - a piece that you can't wait to finish rather one that you are finishing for finishing's sake. Embellish it, try out a new clasp, create a new closure method, try a new stitch and in doing so create something that you'll love. Focus on innovation rather than just ticking it off the list. Give some dedicated time to your UFOs - they won't disappear with out it! But, just before I do - I have hosting a GIVEAWAY - a free beading pattern from my online pattern shop to the best TIP on reducing UFOs. Winner announced in next week's blog post on Monday 18th March. My beadart studio is now open by appointment in Drysdale on the Bellarine Peninsula (Victoria, Australia) - just email or phone if you'd like to visit (see www.daxdesigns.com.au for details). I proudly acknowledge the Wathaurong Tribe as the original custodians of the land on which I live and do my beadwork and share in the hope of the Australian Declaration Towards Reconciliation (2000) for an Australia in which there is justice and equity for all.